You probably already know that melanoma is very dangerous. It's the deadliest form of skin cancer and has a high metastatic potential. That means it spreads rapidly. While some people are more at risk than others, it can affect anyone. And it's so important to prevent melanoma because once it spreads, it can be difficult to cure. Fortunately, good nutrition can play a significant role in the prevention of melanoma. Researchers are continuing to investigate the potential of our food to heal us and prevent disease in the first place. Some studies have had disappointing results. 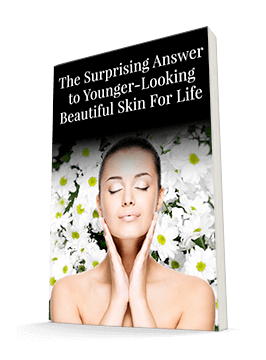 Selenium, vitamin D, and vitamin E, while they do have many other benefits, don't seem to bring a lot to the table to fight skin cancer. But other compounds do! Grape seed proanthocyanidins, epigallocatechin-3-gallate, resveratrol, rosmarinic acid, lycopene, and fig latex are all beneficial in the fight to help prevent melanoma. Those may not sound like fruits and vegetables, but they're all natural compounds! Grape seed proanthocyanidins come from grape seeds and you can find them in extract form. Epigallocatechin-3-gallate sounds like something you'd find in a laboratory, but you'll actually find it in white, green, and black teas! It's a powerful antioxidant. Resveratrol, as you probably already know, comes from grapes, red wine, and peanuts. As the name suggests, you'll find rosmarinic acid in herbs such as rosemary, basil, marjoram, thyme, and peppermint. You may recognize lycopene — which you'll find in red fruits and vegetables like tomatoes, watermelon, and papayas. Fig latex, of course, is a product of figs. 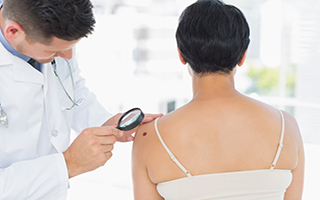 There's still more research to be done to determine the best ways to harness these compounds to help in the fight against melanoma and which are the most effective. But adding more fruits and vegetables to your diet is never a bad idea. And don't skimp on sun protection. You want to use every tool available to defend yourself against melanoma. Finally, feel free to take these nutrients in supplement form. For instance, you can find a great product that contains resveratrol and grape seed proanthocyanidins by following this link.